Our range of products include kids slides, multi play equipment and multi play station. 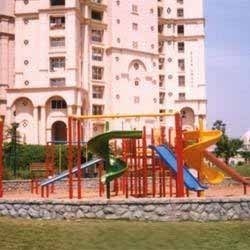 We are among the prominent manufacturers and suppliers of extensive range of Kids Slides that are fabricated with utmost precision. Our products are manufactured using optimum quality range of materials that are sourced from reliable and certified vendors in the industry. Our slides are easy to set and have enough space to play with great fun. Additionally, clients can avail the entire product range in feasible rates. Supported by technically updated facilities at our advanced manufacturing unit, we are offering an innovative range of Multi Play Equipment. Our offered Marathon Gen next is designed by utilizing quality assured material and current technology. Moreover, our presented Marathon Gen next is provided in a various dimensions & easily available to our customers at affordable rates. 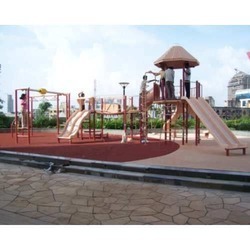 Keeping in mind the diverse requirements of the clients, we are engaged in offering our clients wide assortment of quality assured Multi Play Station. Our products are widely acknowledged among the clients for its flawless performance and sturdy construction. With the assistance of skilled and dedicated professionals, we are able to carve niche in the international market. Additionally, clients can avail the entire product range in leading industrial rates. With honest intentions to maintain and uplift our status in the market, we are providing a complete range of Multi Play Equipment. We design this multi play equipment at our own manufacturing unit under the observation of our experts by utilizing best grade basic material. 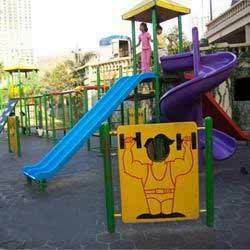 The offered multi play equipment is known for its precise quality. 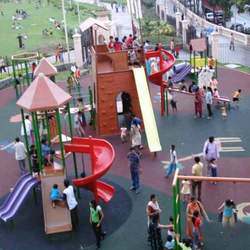 Apart from this, the given range of multi play equipment is provided with different stipulations & customization options at reasonable price.